Do you have empty seats to fill? Want to boost cash flow in your restaurant or bar? In a constantly - shifting industry where new venues are opening weekly, staying at the top isn’t always easy. Bartercard has the tips and tricks to stay ahead of the curve and think outside the wine box to attract new customers. Food delivery services are buzzing and while they’re putting restaurants in the mix, not all restaurateurs are opting for the paper bag approach that can come at a cost. If your restaurant is at the higher end, consider the impact on waiting diners, the presentation of the food when it reaches the customer, and whether that’s on brand with your restaurant. Ensure you have the resources and space to prepare extra orders too. If you’re looking to list on deal sites, factor in the impact of discounting prices which can devalue a brand and attract one-off customers shopping at a specific price point. Similarly, third party booking sites can capture the details of bookings to remarket to, instead of the restaurant doing so. Bartercard Trade Dollars and are more likely to return in the future. There’s many options to attract new customers in the market and you might find a mix of different approaches works. Bartercard doesn’t just attract new customers, it also saves valuable cash. Many restaurant owners use Bartercard Trade Dollars to purchase wine which they on-sell for cash in their restaurant. This effectively turns downtime into cash sales. They also use Trade Dollars to offset cash expenses like kitchen equipment, furnishings and renovations by using their Trade Dollars instead of cash. To earn Trade Dollars, they welcome customers on Bartercard when they have spare capacity to keep their restaurant full off peak. Building a network of local restaurateurs and businesses owners lets you continually learn, stay in the loop, think outside the box and canvass solutions to industry hurdles. 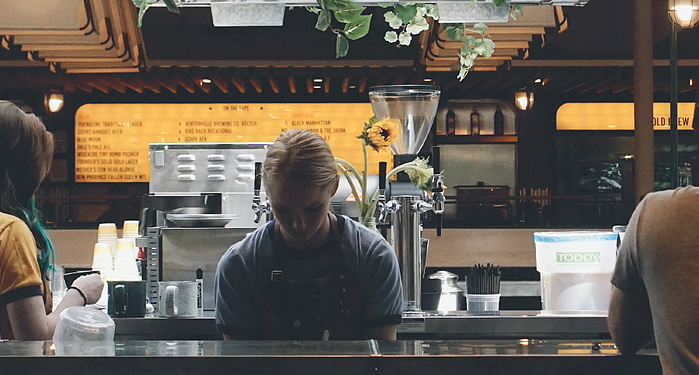 Bartercard is a business network with thousands of hospitality members worldwide and year round events at a local level to continually stay front and centre of the industry. © 2013 Bartercard New Zealand. All rights reserved.